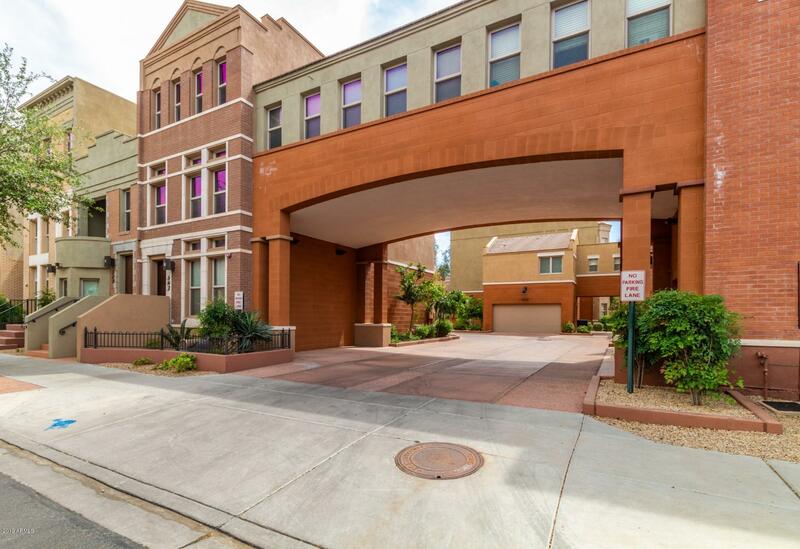 Don't miss this beautiful Brownstone in Downtown Tempe. It has two large master bedrooms, soaring ceilings, wood blinds, granite counters, tiled showers laundry room and a private garage. BUT, that's not all. The ac units were replaced in 2016 and 2018, the roof was replaced in 2017, microwave replaced in 2018 and the home got new carpet and paint in April of 2019! You'll love this location as it is SO convenient to just about anything you could ever want or need. You'll be minutes from Mill Avenue, Tempe Town Lake, Phoenix Sky Harbor Airport, Arizona State University, the light rail line and so much more.